This cross-sectional survey aimed to ascertain the knowledge of malaria patients in determining the nature and extent of health information needed; accessing the needed health information effectively and efficiently; evaluating such health information and its sources critically in order to use the information. A self-reported questionnaire was given to 155 participants in selected “drug stores” in Ho in the Volta Region of Ghana. Positive relationships were found between respondents whose decision to purchase malaria drugs was based on laboratory tests and high health information literacy skills. Low knowledge of libraries among the respondents was recorded even though there was no significant difference between the health information literacy of those who see the library as a source of health information and those who do not. There is a need to involve libraries in the health delivery system in order to help extend literacy training/skills to the citizenry. Keywords: : Malaria, Information literacy, Health information, Information seeking-behaviour, Ghana, Sustainable development goals. Health information literacy, a concept that has become synonymous with health literacy focusing on active searching and evaluating health related information by people [1Mayer AK. Assessing health information literacy by a knowledge test. Eur J Public Health 2017; 27(Suppl. 3): 26. [http://dx.doi.org/10.1093/eurpub/ckx187.066] [PMID: 29028241] ], has gained much prominence among most citizenry. It has been defined as “the cognitive and social aptitudes which influence the people’s inspiration and capacity to access, comprehend and utilise information in manners which advance and maintain great health and wellbeing” [2Health promotion glossary. Health Promot Int 1998; 13(4): 349-64. [http://dx.doi.org/10.1093/heapro/13.4.349] ] and according to Dodson and colleagues, it requires an individual to have the skills to access, understand, appraise and use the information and services to make decisions about their health and the health of their family and the community [3Dodson S, Good S, Osborne RH. Health literacy toolkit for low and middle income countries: A series of information sheets to empower communities and strengthen health systems 2015.]. Sørensen and colleagues also view health information literacy as one that “entails people’s knowledge, motivation and competence to access, understand, appraise, and apply health information in order to make judgments and take decisions in everyday life concerning healthcare, disease prevention and health promotion to maintain or improve quality of life during the life course” [4Sørensen K, Van den Broucke S, Fullam J, et al. Health literacy and public health: a systematic review and integration of definitions and models. BMC Public Health 2012; 12(1): 80. [http://dx.doi.org/10.1186/1471-2458-12-80] [PMID: 22276600] ]. In tandem with other researchers, Mayer hypothesised that health information literacy “comprises a set of abilities and skills needed to recognise a health information need, search and evaluate health information from multiple sources, and to use this information to make appropriate health decisions” [1Mayer AK. Assessing health information literacy by a knowledge test. Eur J Public Health 2017; 27(Suppl. 3): 26. [http://dx.doi.org/10.1093/eurpub/ckx187.066] [PMID: 29028241] ]. Low levels of health literacy common in vulnerable populations, people with low levels of income and education, and people with a compromised health status [5Wolf MS, Gazmararian JA, Baker DW. Health literacy and functional health status among older adults. Arch Intern Med 2005; 165(17): 1946-52. [http://dx.doi.org/10.1001/archinte.165.17.1946] [PMID: 16186463] , 6Berkman ND, Sheridan SL, Donahue KE, Halpern DJ, Crotty K. Low health literacy and health outcomes: an updated systematic review. Ann Intern Med 2011; 155(2): 97-107. [http://dx.doi.org/10.7326/0003-4819-155-2-201107190-00005] [PMID: 21768583] ], is associated with inadequate knowledge about the health as well as the healthcare system, poor access and utilisation of health services and also increased hospitalisation [7Budhathoki SS, Pokharel PK, Good S, Limbu S, Bhattachan M, Osborne RH. The potential of health literacy to address the health related UN sustainable development goal 3 (SDG3) in Nepal: a rapid review. BMC Health Serv Res 2017; 17(1): 237. [http://dx.doi.org/10.1186/s12913-017-2183-6] [PMID: 28347355] ]. These, according to various authorities, lead to poor health outcomes and health inequalities [8Aboumatar HJ, Carson KA, Beach MC, Roter DL, Cooper LA. The impact of health literacy on desire for participation in healthcare, medical visit communication, and patient reported outcomes among patients with hypertension. J Gen Intern Med 2013; 28(11): 1469-76. [http://dx.doi.org/10.1007/s11606-013-2466-5] [PMID: 23690237] -10Bostock S, Steptoe A. Association between low functional health literacy and mortality in older adults: longitudinal cohort study. BMJ 2012 Mar 7; [344: e1602. Retrieved 2018 Oct 15]. 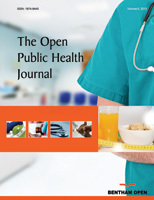 Available from: http://www.bmj.com/cgi/doi/10.1136/bmj.e1602]. Also, low health literacy has been predicted to influence harmful consequences in older age [11Baker DW, Wolf MS, Feinglass J, Thompson JA, Gazmararian JA, Huang J. Health literacy and mortality among elderly persons. Arch Intern Med 2007; 167(14): 1503-9. [http://dx.doi.org/10.1001/archinte.167.14.1503] [PMID: 17646604] , 12Sudore RL, Yaffe K, Satterfield S, et al. Limited literacy and mortality in the elderly: the health, aging, and body composition study. J Gen Intern Med 2006; 21(8): 806-12. [http://dx.doi.org/10.1111/j.1525-1497.2006.00539.x] [PMID: 16881 938] ]. Even though, number three (3) of the Sustainable Development Goals (SDG) specifically targets health (to ensure healthy lives and to promote wellbeing at all ages), it can be seen that most of the other goals: SDG1 (No poverty), SDG2 (Zero hunger), SDG4 (Quality education), SDG8 (Decent work and economic growth), and SDG10 (Reduced inequalities) are all indirectly linked to health. SDG3 addresses maternal health, neonatal and child health, AIDS, tuberculosis, malaria and includes universal access to sexual and reproductive health services including family planning [7Budhathoki SS, Pokharel PK, Good S, Limbu S, Bhattachan M, Osborne RH. The potential of health literacy to address the health related UN sustainable development goal 3 (SDG3) in Nepal: a rapid review. BMC Health Serv Res 2017; 17(1): 237. [http://dx.doi.org/10.1186/s12913-017-2183-6] [PMID: 28347355] ]. Malaria, which is sometimes called the “King of Diseases”, is caused by protozoan parasites of the genus Plasmodium [13Tangpukdee N, Duangdee C, Wilairatana P, Krudsood S. Malaria diagnosis: a brief review. Korean J Parasitol 2009; 47(2): 93-102. [http://dx.doi.org/10.3347/kjp.2009.47.2.93] [PMID: 19488414] ], remains a major public health challenge in Sub Saharan Africa with about 88% of the total world cases and 90% of deaths in 2015 [14World malaria report 2015.]. Regarding this disease, Ghana recorded about 38% of outpatient visits and 27.3% of admissions in health facilities and 48.5% of under-five deaths in 2015, which make it one of the leading causes of morbidity and mortality [15Ghana Health Service National malaria control programme annual report 2014 2014.]. In a study on the “economic burden of malaria on businesses in Ghana”, Nonvignon stated that “businesses in Ghana lost about US$6.58 million to malaria in 2014, 90% of which were direct costs; and a total of 3913 workdays were lost due to malaria during the period of the study” [16Nonvignon J, Aryeetey GC, Malm KL, et al. Economic burden of malaria on businesses in Ghana: a case for private sector investment in malaria control. Malar J 2016; 15(1): 454. [http://dx.doi.org/10.1186/s12936-016-1506-0] [PMID: 27599835] ]. These concerns and statistics justify any study that aims at reducing/eradicating this prevalence of this endemic in the country. Understanding the level of health information literacy among people who are likely to suffer from malaria is a key step in meeting SDG3. Libraries are recognised for their firm belief in the right to access to information, and this naturally extends to the right to accessing and understanding health related information [17Ogunsola LA. Health information literacy: A road map for poverty alleviation in the developing countries. J Hosp Librariansh 2009; 9(1): 59-72. [http://dx.doi.org/10.1080/15323260802616977] ], with public libraries playing important roles in basic literacy training [18Global monitoring report 2004 2004.]. This role of libraries in literacy training needs to be enhanced and extended to include health information literacy training. Extending library services to vulnerable people, would not only make them information conscious but it will also go a long way to “ensuring healthy lives and promoting well-being for all” – SDG3 [19Agyei D, Adu S, Yeboah E, Tachie-Donkor G. Establishing the knowledge of health information among adolescent postpartum mothers in rural communities in the Denkyembour District, Ghana. Adv Res 2018; 14(1): 1-8. [http://dx.doi.org/10.9734/AIR/2018/39939] ]. This cross-sectional survey was, thus, aimed at ascertaining the knowledge of malaria patients in determining the nature and extent of health information needed; accessing the needed health information effectively and efficiently; evaluating such health information and its sources critically in order use the information effectively. This cross-sectional survey conveniently selected four “drug stores” in Ho, Volta Region of Ghana, where customers who came to buy malaria drugs for themselves were purposively selected. One hundred and fifty-five (155) customers participated in this study. Permission was sought from the managers of the four “drug-stores” in order to use their facility and customers for the study. These drug-stores were conveniently selected based on the willingness of the managers to allow their facilities to be used and also the willingness of the buyers to respond to the survey. In all, the researchers received permissions from six (6) drug-stores scattered across the Ho township. However, only four (4) had respondents agreeing to answer the questionnaires. The objectives of the study were explained to participants, and those who were interested and willing gave their consents to participate in the study. This study used both primary and secondary data. Primary data was used to collect data regarding respondents’ ability to recognise the need for health information, access the needed information, evaluate and use the said health information through the use of a self-reported structured questionnaire. Also, information about age, gender, and educational background was collected to appreciate the socio-demographic characteristics of the respondents. Secondary data was collected through a review of related literature to understand current and previous studies on the topic and also appreciate the gap in the literature that needs to be bridged. The self-reported questionnaire consisted of two parts. Part one assessed respondents’ basic knowledge of malaria. The cumulative percentage of the various scores was calculated. Items or groups that scored 80% or more were ranked as “Excellent,” those within 60≥x<80 were ranked as “Average” and scores that were less than 60% were ranked as “Poor” [20Al Abdullah R. On the contribution of student experience survey regarding quality management in higher education : An institutional study in Saudi Arabia. J Serv Sci Manag 2010; 3: 464-9. [http://dx.doi.org/10.4236/jssm.2010.34052] ]. Continuous variables were expressed as their mean ± standard deviation, whereas categorical variables were expressed as figure and proportion. Comparisons of the general characteristics of groups of interest were performed using chi-square tests, or Fisher exact tests where appropriate. A level of P<0.05 was considered statistically significant for all analyses. Microsoft Excel and GraphPad Prism version 6.00 were used for statistical analysis where appropriate. Among the 155 respondents of this study, it was found out that the majority were males 88 (56.77%). These respondents had an average age of 31.87±8.22 years, with the majority of them enrolled in secondary school at the time of this survey. It was also found that majority of the respondents were working in the informal sector 90 (58.06%). Refer to Table 1 for details on the demographic characteristics of the respondents. Regarding how health information literates the respondents were the study established that respondents who went to buy malaria drugs based on a laboratory test exhibited a higher level of knowledge. Significantly, the study revealed that respondents whose decisions to purchase malaria drugs were based on laboratory tests demonstrated high skills in determining the nature and extent of health information they needed (P-value: <0.0001); evaluating such health information and its sources critically (P-value: <0.0001); and using the health information effectively (P-value: <0.0075). However, the study could not establish any significant difference among the respondents regarding their ability to access the needed health information (P-value: <1.0000). Refer to Table 2 for respondents’ health information literacy skills stratified into those who presented laboratory results at the time of buying drugs and those whose decision to purchase such drugs was based on past experience, experience of weakness and headache, and recommendations from family and friends. Health information literacy skills of respondents. This survey also sought to find out from the respondents the various sources of their health information. Particularly, the study focused on the source of information behind the respondents decisions to purchase any drug. Regarding this, it was established that there was no significant difference between the male and female respondents’ sources of information on drug purchase (P-value: <0.7171). However, it was ascertained that the majority of both males 27(30.68%) and females 24(35.82%) based their decisions on doctors or health workers’ advice. Also, with regard to the sources of respondents’ information on the treatment/prevention of malaria, it was found that majority of both males 31(35.23%) and females 27(40.30%) depended on information from friends and relatives. Refer to Table 3 for details on respondents’ sources of health information. Another important finding of this study was how respondents view libraries as sources of information and how these views reflected in their health information literacy. The study found out that only 34(21.94%) respondents believed that libraries could be rich sources of health information. Predominantly, apart from users’ ability to use health information effectively and efficiently (P-value: 0.0086), it was found that there was no significant difference between those who view libraries as sources of health information and those who do not in all categories. Thus, knowledge of libraries as sources of information does not have much influence on patients’ knowledge health information literacy (Table 4). This paper presents results on the knowledge of malaria patients in identifying the needs for health-related information, and how confident they are regarding their abilities to obtain and use needed information for the benefit of their own health. The findings of this study revealed that patients who are health information literate presented at the pharmacies or “drug stores” with laboratory reports before purchasing their drugs. Rapid and effective malaria diagnosis does not only alleviates suffering, but also decreases community transmission [13Tangpukdee N, Duangdee C, Wilairatana P, Krudsood S. Malaria diagnosis: a brief review. Korean J Parasitol 2009; 47(2): 93-102. [http://dx.doi.org/10.3347/kjp.2009.47.2.93] [PMID: 19488414] ]. The nonspecific nature of the clinical signs and symptoms of malaria may result in over-treatment of malaria or non-treatment of other diseases in malaria-endemic areas, and misdiagnosis in non-endemic areas [21Bhandari PL, Raghuveer CV, Rajeev A, Bhandari PD. Comparative study of peripheral blood smear, quantitative buffy coat and modified centrifuged blood smear in malaria diagnosis. Indian J Pathol Microbiol 2008; 51(1): 108-12. [http://dx.doi.org/10.4103/0377-4929.40419] [PMID: 18417878] ]. Thus, medically, the laboratory-based test is recommended for malaria diagnosis. This, therefore, confirms that those who are health literate are more likely to undergo a laboratory test before taking any drug. This assertion and facts supporting it are in tandem with the findings of this study which confirms a positive relationship between health information literacy and adherence to right health procedures. In tandem with previous studies, this study reported that there is no significant difference between males and females regarding their sources of health information [23Lee HS. Health information needs and seeking behaviors among korean mothers of young children in the United States. Proc Assoc Inf Sci Technol 2015; 52(1): 1-4. [http://dx.doi.org/10.1002/pra2.2015.145052010064] , 24Grimes HA, Forster DA, Newton MS. Sources of information used by women during pregnancy to meet their information needs. Midwifery 2014; 30(1): e26-33. [http://dx.doi.org/10.1016/j.midw.2013.10.007] [PMID: 24246969] ]. The report of high dependence on friends/relatives and other informal sources of information has been presented in other studies [19Agyei D, Adu S, Yeboah E, Tachie-Donkor G. Establishing the knowledge of health information among adolescent postpartum mothers in rural communities in the Denkyembour District, Ghana. Adv Res 2018; 14(1): 1-8. [http://dx.doi.org/10.9734/AIR/2018/39939] , 24Grimes HA, Forster DA, Newton MS. Sources of information used by women during pregnancy to meet their information needs. Midwifery 2014; 30(1): e26-33. [http://dx.doi.org/10.1016/j.midw.2013.10.007] [PMID: 24246969] -26Barr-Walker J. Health literacy and libraries: A literature review. Ref Serv Rev 2016; 44(2): 191-205. [http://dx.doi.org/10.1108/RSR-02-2016-0005] ]. This finding may be due to the poor health information literacy among those who purchased drugs without laboratory reports as recorded in Table 2. Thus, most of such respondents depend on such informal sources that are close to them, easy to comprehend and less expensive to obtain, in order to meet their health information needs. Libraries, for a long period, have engaged the public in many areas including health [27Uzuegbu CP. Effective information service delivery to rural dwellers in Sub-Saharan Africa. IFLA J 2016; 42(1): 49-58. [http://dx.doi.org/10.1177/0340035215608860] ]. However, this study does not support the assertion that libraries engage the public in health issues. This may be as a result of the view of Uzuegbu (2016) that “the outreach programmes of the present day public libraries in Sub-Saharan Africa do not offer the effective information service delivery required because they lack the ethos to successfully execute such tasks” [27Uzuegbu CP. Effective information service delivery to rural dwellers in Sub-Saharan Africa. IFLA J 2016; 42(1): 49-58. [http://dx.doi.org/10.1177/0340035215608860] ]. Respondents' sources of health information. Knowledge of health information based on respondents’ view of libraries as sources of health information. This study has established a positive relationship between health information literacy and patients’ adherence to basic clinical procedures. It has been found that those who presented laboratory reports prior to purchasing malaria drugs exhibited high information literacy skills. This may be true with adherence to other medical requirements like drug adherence among others. Such positive attitudes do not only affect the patient’s health positively, but will also go a long way in achieving SDG3 in the long run. Although the study did not report any direct relationship between knowledge of libraries and excellent health information literacy, it is still recommended that public libraries should take interest in the health care delivery system of the country as libraries have been recognised for their firm belief in the right to access to information and their literacy training skills. Libraries can create educational programmes and nurtured relationships with health and community agencies and use innovative outreach methods to reach their user populations [26Barr-Walker J. Health literacy and libraries: A literature review. Ref Serv Rev 2016; 44(2): 191-205. [http://dx.doi.org/10.1108/RSR-02-2016-0005] ]. Getting the citizenry aware and interested in their health information literacy will sustain a healthy society. This work was carried out with collaboration between all authors. Authors DDA and GCY conceptualised and designed the study. Both authors recruited participants and generated the data. Author DDA analysed the data and drafted the manuscript. All Authors reviewed the manuscript for intellectual content and each author approved the final manuscript. Ethical approval was obtained from ethical committe of University of Health and Allied Science, Ho, Ghana. No animals/ humans were used for studies that are the basis of this research. This study was anonymous and non-linked. Confidentiality of respondents was assured. All participants read and understood the objectives of the study and consented to participate in the study. For those who could not read, research assistants helped to read and explain the objectives to them. Dodson S, Good S, Osborne RH. Health literacy toolkit for low and middle income countries: A series of information sheets to empower communities and strengthen health systems 2015. Ghana Health Service National malaria control programme annual report 2014 2014. Global monitoring report 2004 2004.